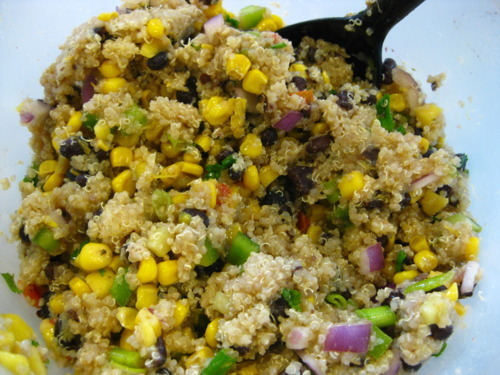 Quinoa (that’s KEEN-wah) is my new favorite superfood. It’s so easy to use – it has a pretty mild flavor, so you can incorporate it into anything. 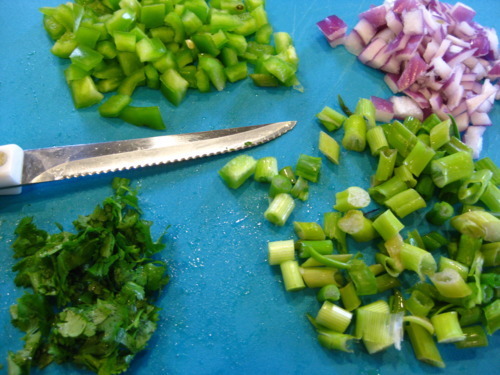 Cooking it is a breeze – it cooks the same as white rice. And, of course, its most important quality: it’s a complete protein. Whaddup. This salad is nice and summery, not to mention super filling. One bowl of it was enough for me for dinner. 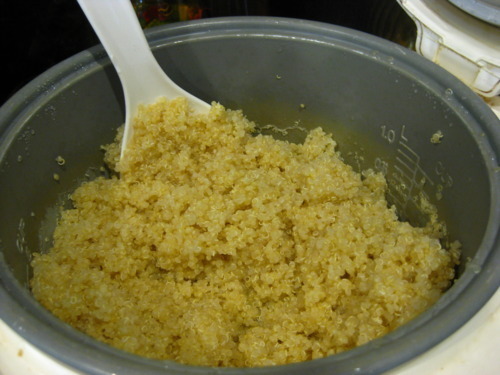 I ate it hot, right after the quinoa cooked, but it would probably be good cold too. I made a bunch of changes to the original recipe, mostly because I was too lazy to go to the super market, but it came out delicious. Also, I increased the amount of quinoa because the original looked like veggies with quinoa, not quinoa with veggies, which is what I wanted, and this had to feed a family of four. 1. 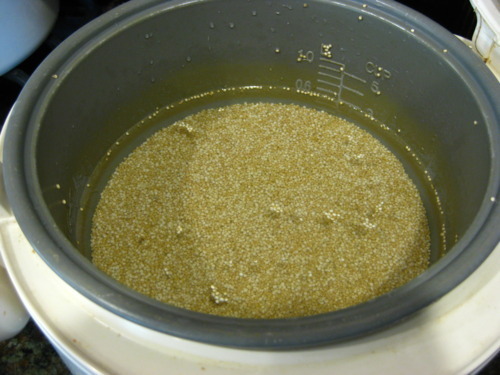 Rinse the quinoa and cook in rice cooker with 3 cups water. 2. 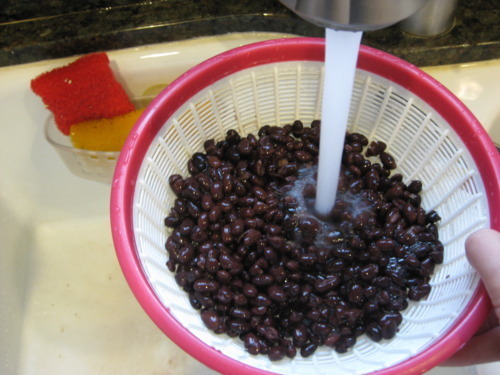 Drain and rinse the beans and corn. 4. In the biggest bowl you can find, mix the beans, corn, and the rest of the veggies. 5. 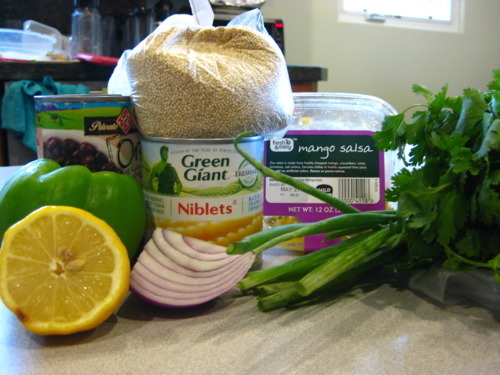 In a small bowl, whisk together the lemon juice, olive oil, cumin, and salt. 6. When the quinoa has finished cooking, toss it in with the veggies. Pour in the dressing and mix. Serve. 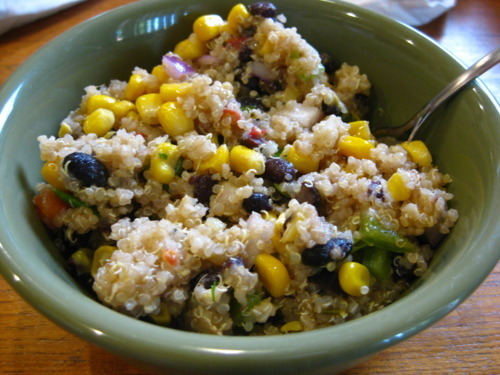 This entry was posted in Entrees, Salad and tagged beans, corn, quinoa by Alyssa G. Bookmark the permalink. Alyssa, this is steph! I’m making this for my office eating club tomorrow, I’ll let you know how it goes! Thanks gurl.